You know his songs well. By 1980, Foreigner's first eight singles (from their first three albums, Foreigner, Double Vision and Head Games) entered the Billboard Top 20 charts, making them the first band to achieve that feat since the Beatles. One hit after another. In 1978, shortly after the release of "Hot Blooded," Circus magazine remarked that Lou had a voice that Robert Plant might envy. Of course, the rest was rock and roll history as when all might have been said but not yet done, Foreigner would join Led Zeppelin on the Atlantic Records label as one of the most successful artists ever on the imprint. 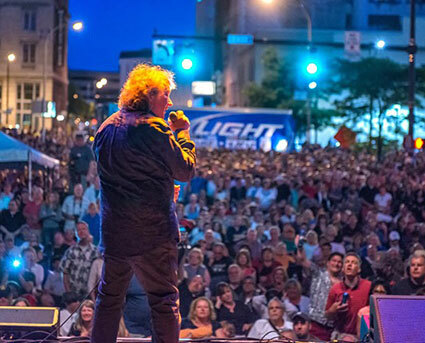 In May of 2013, Lou, with the help of writer Scott Pitoniak, released a must-read autobiography titled, Juke Box Hero: My Five Decades in Rock 'n' Roll (Triumph Books). A month later, he would be inducted into the Songwriters Hall of Fame. 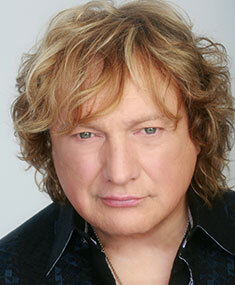 Windborne Music joins with Lou Gramm for a powerful show of Lou's big hits both with Foreigner and as a solo artist. Imagine Lou out front with a full rock band and the massive sound of a full orchestra. It's an amazing show that you don't want to miss!